With the exponential increase in data use that has accompanied society's transition into the digital 21st century, Organizations not on the public cloud will be increasingly isolated from the world of tech innovation naturally losing out on business efficiencies, cost benefits and competitive advantages it holds over the old way of business. Have you ever wondered why so many businesses are moving towards SalesFundaa CRM software ? It is simply-- because there are several advantages of its cloud computing . It helps in improving the cash flow, increases the efficiency and numerous others. Small and medium enterprise are aware that SalesFundaa CRM software on the cloud has become the launchpad for - Artificial Intelligence (AI), blockchain, quantum computing and more. 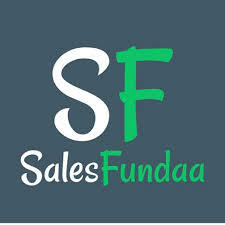 Thus there is an accelerating bent towards adoption of SalesFundaa CRM software on the cloud. Cloud computing may be called as computing that is based entirely on the internet. As in the past, where people would be downloading from a server or a physical computer, cloud computing services help them to access those applications through the medium of internet. Cloud computing is a term that has gained widespread use over the last few years. Still, there are those organizations that display a rigid attitude in committing to cloud computing solutions for their organizations. And those that have deployed the cloud and wonder what to do to grow and leverage their cloud deployment – to best prepare for a future where the cloud will be ubiquitous? SalesFundaa CRM software is business management software hosted on the cloud. This software gives the user the advantage of automating his business process and accessing his business data from anywhere. This way he can keep upto date information about his business developments and not miss out on a business opportunity. Here are 12 business advantages of SalesFundaa CRM software on the cloud. If you are worried about the price tag you need to weigh the advantages and disadvantages of using the cloud and consider more factors than just initial price;You need to consider Return on Investment (ROI). Easy access to your data will save time and money. And you will never be paying for features or space that you neither need nor want. Meeting government compliance requirements was never an issue with SalesFundaa CRM software on the cloud. In cloud based version the data being transmitted over networks and stored in databases is encrypted for amped-up security. Thus information is less accessible by hackers or anyone not authorized to view your data. Beyond this different security settings can be set based on the user. The SalesFundaa CRM software which is a cloud-based service can meet the demand for extra bandwidth instantly, rather than undergoing a complex (and expensive) update to your IT infrastructure. This can make a significant difference to the overall efficiency of your organization. SalesFundaa CRM software that enables Cloud computing also allows mobile access to your business data via smartphones and devices, which, is a great way to ensure that no one is ever left out of the loop. Staff with busy schedules, or who live a long way away from office, can use this feature to keep instantly up-to-date with clients and coworkers. It can be conveniently used by sales staff who travel, freelance employees, or remote employees, for better work-life balance. The SalesFundaa CRM software which has cloud-based storage solution offers a bird's-eye view of your data. The cloud allows easy to implement tracking mechanisms and building of customized reports to analyze information organization-wide that are often used to increase efficiencies and build action plans to meet organizational goals. SalesFundaa CRM software on Cloud computing makes collaboration a simple process. Team members can view and share information easily and securely across a centralised platform. Thus nurturing a team spirit culture. All documents are stored in one place and in a single format. With everyone accessing the same information, you can avoid human error, and have a clear record of any revisions or updates. Computer malfunction can be a result of viral infections, to age-related hardware deterioration, to simple user error. The SalesFundaa CRM software is on a cloud-based server, however, all the information you've uploaded to the cloud remains safe and easily accessible from any computer with an internet connection, even if the computer you regularly use isn't working. There isn't anything more irritating than having to wait for system update to be installed. Cloud-based applications automatically refresh and update themselves, instead of forcing an IT department to perform a manual organization-wide update. This saves valuable IT staff time and money spent on outside IT consultation. The SalesFundaa CRM software on the cloud is more environmentally-friendly and supports environmental proactivity by cutting down on paper waste, improving energy efficiency, and its anywhere access feature controls pollution that could occur due to commuter related emissions. Call SalesFundaa CRM on 9235 35 35 35 for a free consultation of your eco friendly business management application today.